This year is the National Hockey League’s 102nd season. Regular season play runs from October 3, 2018, to April 6, 2019. Now, you can live stream all 82 games in the season on NHL.TV, Fubo TV, Sling TV, DirecTV Now, and Hulu Live TV. NHL.TV – the official streaming channel for the NHL. You can purchase NHL.TV all-access for $139.96/season, which includes every out-of-market regular season game. Or, you can buy the single-team package for $111.96/season. Fubo TV – a streaming service dedicated to sports. With Fubo TV you can watch the NHL playoffs and live stream the regular season games online on NBC, NBCSN, CNBC, and USA networks. Sling TV – compatible with devices like Apple TV, Roku, Chromecast, iPhone, iPad, and Mac. Sling TV offers two packages: Orange and Blue. Sling Orange is $5/month, and when you add on the News Extra package for an additional $5/month, you get all of the NHL Playoff channels: NBC, NBC Sports, NBCSN, CNBC, USA, and (bonus) NBC Golf. 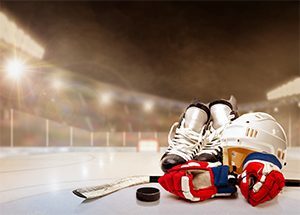 DirecTV Now – Watch the entire NHL season through DirecTV Now with the sports package added to your base package. Regular season pause is January 24-27th, for the 2019 NHL All-Star weekend at SAP Center in San Jose, CA.